Diabetes camp is a great way for a child with type 1 diabetes to learn new skills, gain independence, and meet other kids also living with diabetes. And you get a caregiving break! Q is going to diabetes camp for the 6th time this summer. She looks forward to it each and every year and will probably continue going as a counselor or volunteer when she ages out. Are you thinking about diabetes camp or are you signed up for the first time? Do you always forget to pack something? Do you want to take time to connect with your other children or take some time for yourself? 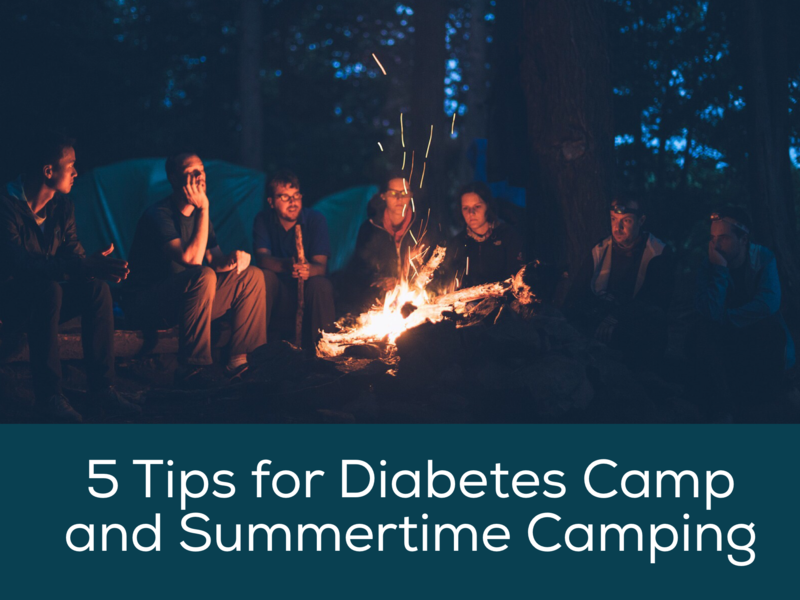 Read these five articles about diabetes camp and summertime camping. Diabetes Summer Camps: One of the best ways for children to meet other d-kids is by going to diabetes camp. There are a variety of diabetes camps throughout the country, including family camps, day camps, and overnight camps. There are also a number of sports camps, like snowboarding and basketball, geared toward type 1 kids. 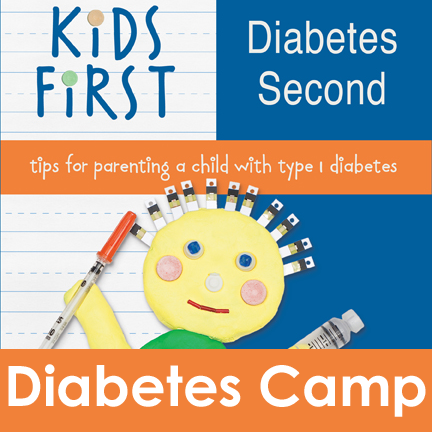 Read the excerpt Diabetes Summer Camps from the book Kids First, Diabetes Second. 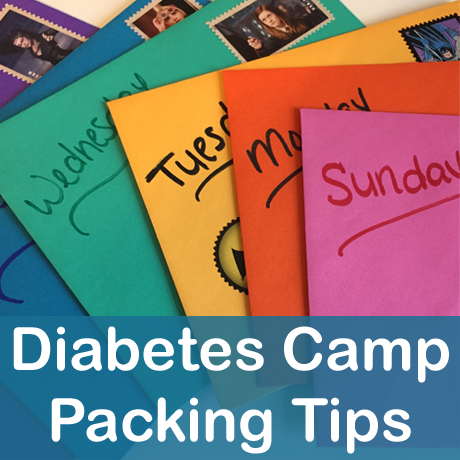 Diabetes Camp Packing Tips: Here are a few diabetes camp packing tips that I have picked up over the years as well as a checklist of items you might not think to pack. Of course, you will receive a packing list (and a list of what not to pack!) and instructions from the particular camp your child will attend, but here are a few things to think about. Read more about Diabetes Camp Packing Tips and Checklist. Camping with Diabetes: I know many families are making plans to go camping with their family this summer. Camping is fun, and with a little planning, diabetes can be managed. There are some really important things you need to think about–like keeping insulin cool–but one of the biggest necessities is knowing the carb count on s’mores! Read the excerpt Camping with Diabetes from the book Kids First, Diabetes Second. Meals at Diabetes Camp: At diabetes camp, kids learn to meal plan and count carbs. At check-in one year I just had to laugh at this exchange between Q, the dietician, and myself. 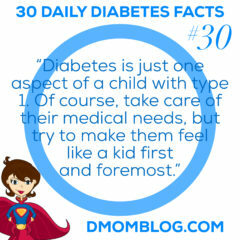 Caregiving Break: And sending your kiddo off to diabetes camp isn’t just about the experience that they will have. It is also a chance to practice a little self-care and take a caregiving break. If you have other children, it can also be a great time to connect with them one-on-one without having to divide your attention. 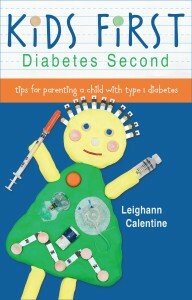 Excerpt from the book Kids First, Diabetes Second written by Leighann Calentine about being released from the hospital after your child is diagnosed with type 1 diabetes and going home to take care of your child on your own. To this day it still astonishes me that they just send newly diagnosed kids home with their parents who have to suddenly act as their child’s pancreas and make any number of daily decisions! Now I’ve got a handle on things (except those days when diabetes throws me for a loop…thanks, growth hormones!) and I am not very frequently stressed about helping my daughter manage her type 1 diabetes. But I remember that first night on our own. Your child’s blood sugar has stabilized, you’ve learned how to count carbs and figure out insulin dosages, and you’ve even given a few injections to that poor little protesting child. Just when you start to feel comfortable performing these duties with the nurse looking on, they send you home. Wait, can they do that? I remember thinking at that moment that my child’s life was literally in my hands. She needed constant medical supervision, and, after a scant three days of training, they were sending us home, and we were supposed to somehow keep her alive. 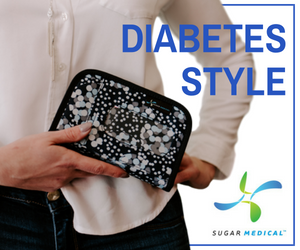 Leaving the hospital with our child newly diagnosed with diabetes, tightly clutching our binder of information, was incredibly scary. Looking back, our departure from the hospital was kind of comical. If you thought our trip down there on the day of her diagnosis was chaotic, we had a heck of a time getting back home. The hospital overlooks a large park, which includes an awesome zoo. Since we had to leave that day, we prodded the staff to let us go as early as possible so we could squeeze in a little fun. We did manage to visit the zoo, ride the carousel, and take a quick ride on the train before it closed. We hopped back on the highway and, when we crossed the state line, we stopped at a Denny’s for dinner. In the hospital, we had a menu that included the carb counts. But did Denny’s have nutritional information available? Uh, no. In fact, the waitress was dumbfounded that I would actually need to know the carb counts. So there we were, enjoying our “breakfast for dinner,” and I had the logbook, pen and paper, The CalorieKing , and various diabetes supplies spread out across the table. I tried my best to figure out how many carbs were in that meal. I called the endocrinologist on duty to tell her Q’s blood sugar and the number of carbs she had eaten, and to explain my math to make sure I was about to give my daughter the right amount of insulin for the meal. How frustrating! By the conclusion of dinner, it was getting dark. I don’t know if we were overwhelmed or just tired, but we missed our exit and didn’t realize until it was too late that we were headed due north on the wrong highway instead of northeast on the right one. Both highways get us home in about the same amount of time, but the highway we inadvertently took has far fewer rest areas, towns, and gas stations. At about 8:00 PM we pulled over to check Q’s blood sugar, give her a bedtime snack, and an injection of long-acting insulin. The test showed that her blood sugar was really high. I freaked out and was back on the phone with the on-call endocrinologist. She explained that it was probably a combination of factors, including guessing the carbs at dinner, a long day, and sitting still in the car. I thought to myself, “Seriously? 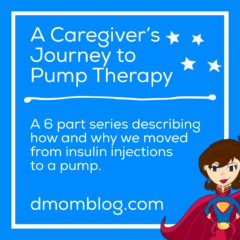 Not five hours into caring for her on our own and I’ve already messed up?” The endocrinologist told me to give her some fast-acting insulin. She reassured me that everything was okay, and said she’d speak to me again in a few hours when we returned home and checked her blood sugar again. Could I really do this? Well, I had no choice. 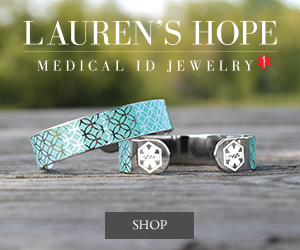 I had to gain confidence in myself and my ability to make decisions for her care. Eventually, it would become routine, but, on that day, it was simply overwhelming. 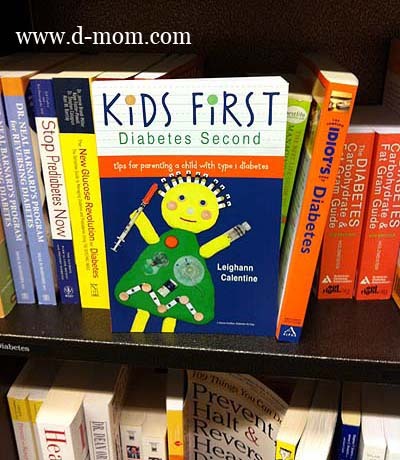 If you’d like to learn more about the book, you can read more on the Kids First, Diabetes Second book page. It’s available widely in print and as an eBook from book sellers such as Amazon.com , Barnes & Noble , and IndieBound. And if you do read it and find it to be a valuable resource, I would greatly appreciate if you could write a review on any of the online retail sites. Thanks! My Book Kids First, Diabetes Second may be updated for a second edition (yay!). I would love some feedback on your experience reading the book. Please take a few minutes — I promise it’s not terribly long — to answer these questions about the book. Summary: Introduction to the book Kids First, Diabetes Second written by Leighann Calentine sharing advice for parenting a child with type 1 diabetes. Since it’s the beginning of a new year, this month I thought I would share the very beginning of my book Kids First, Diabetes Second with you. The introduction gives a little bit of the background of the book and the tone it takes. It’s not a medical book, but it is full of tips and tricks to help you get through and hopefully you will find a book full of support, especially if your child is newly diagnosed. I’m a parent just like you. I’m not a doctor. Nor am I a nurse, dietician, or nutritionist. 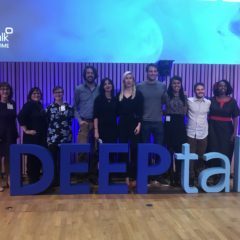 But when my daughter was diagnosed with type 1 diabetes a few months shy of her fourth birthday, I had three days to become an expert in all of those fields in order to keep her healthy. 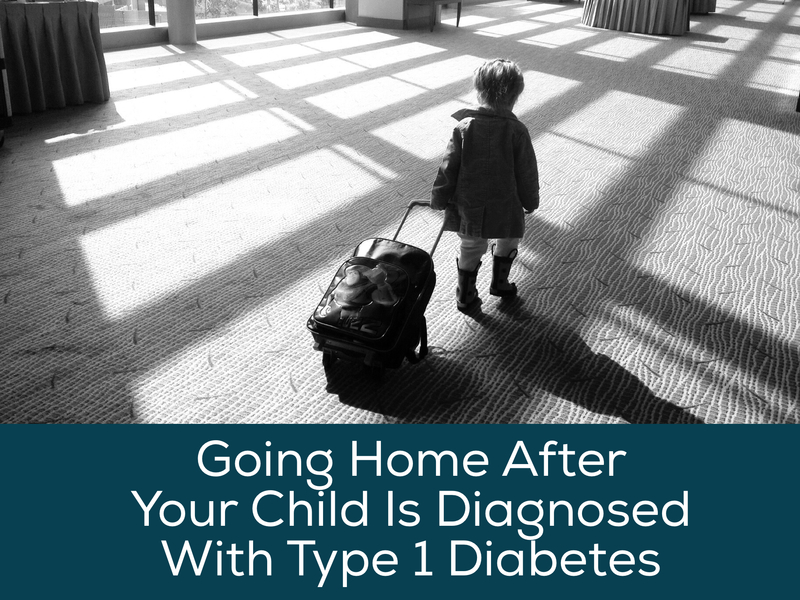 We were sent home from the hospital with a heavy bag full of diabetes supplies, a notebook overflowing with instructions and new terminology, and a phone number to call each time we checked her blood sugar or fed her a meal. It was daunting and, quite frankly, the scariest thing I have faced in my life. If you are looking for a guide on how to manage the medical aspects of your child’s type 1 diabetes—how to bring that A1c down a full point in a mere three months or how to figure out the perfect basal rates that keep your child’s blood sugar at an even 120 all day and all night long—this is not the right book for you. 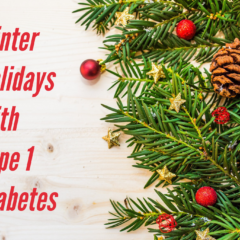 These aspects of diabetes management continue to be a work in progress for our family. But if you’re looking for advice on how to manage your family’s life with diabetes; how to streamline the seemingly endless tasks involved with diabetes care each day; how to handle school and sports; and how to help your child with diabetes be a child first and foremost; then pull up a chair, grab a mug of sugar-free hot cocoa, and let’s chat. I’ll be the first to admit I don’t have all the answers. However, I think our family has come to terms with this chronic health condition. 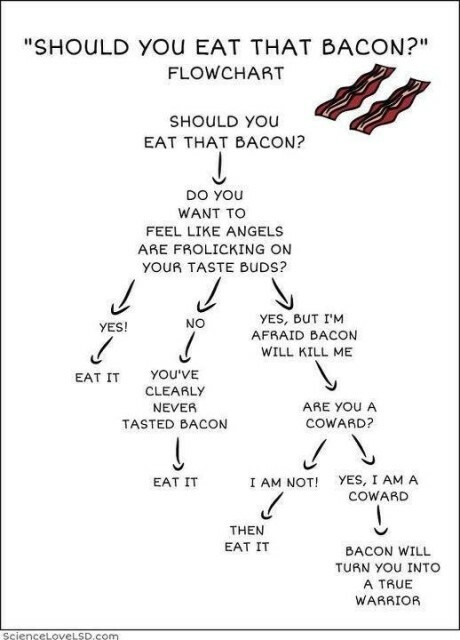 We’ve decided that it is what it is, and we deal with it the best way we can. In fact, that’s always my advice: you need to do the best you can with the information and knowledge you have at a particular time. In this book, I’d like to share with you what has taken us four years to learn. Oh, how I wish that the experienced mom I am today had been there in those first weeks and months to give me the tips found in the following pages. What a comfort it would have been to have her put her hand on my shoulder and tell me that I was strong enough to do this. So, let me put my hand on your shoulder right now and tell you that you, too, can and will do this. You will soon become an expert in your child’s care. Before you know it, diabetes will become your new normal, and your child will be happy and healthy. Diabetes will fade into the background and become just another part of daily life … if you let it. I can’t think of many medical conditions other than type 1 diabetes where the patient, or for young patients the parents, make any number of life-and-death decisions daily. Other medical conditions are overseen by a doctor who prescribes a method of treatment and expects you to follow a very specific protocol. With type 1 diabetes, the care team trains you and then sets you free. And while the nurse educators give you the knowledge to do the basic care—counting carbs, checking blood sugar, and giving insulin—there are so many other aspects to caring for a child with diabetes that these medical professionals just can’t teach in a few days of classes. We were lucky enough to be diagnosed at a facility that’s strong on education. Some parents get even less instruction than the three-day crash course we received. I offer you my perspective as a parent of a child with diabetes who was enrolled in preschool at the time of diagnosis and now attends public elementary school. I won’t bore you with medical jargon or indecipherable studies on the latest treatments and outcomes. Rather, I will tell it like it is, hopefully with wit and wisdom, sharing all that I have learned over the past four years.